North Carolina Central University (NCCU) is a four-year, state-supported, coed, liberal arts institu…. North Carolina Central University (NCCU) is a four-year, state-supported, coed, liberal arts institution founded in 1910 as the National Religious Training School and Chautaugua. The school was sold and reorganized in 1915, becoming the National Training School. Originally chartered as a private school, it became the nation’s first state-supported, black, liberal arts college in 1923, changing its name to Durham State Normal School. Three years later, the school was named North Carolina College for Negroes. In 1939, graduate and professional programs began to be established. 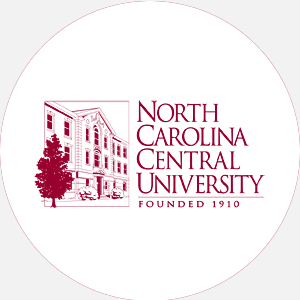 NCCU became one of the sixteen member institutions of the North Carolina system in 1972 and is now subject to the control of its board of governors. North Carolina Central holds to its mission to develop character and to provide sound academic training for real service to the nation. Its programs give students a strong background in general Western culture and African-American culture. The 103-acre campus houses fifty-six buildings of modern and modified Georgian brick. North Carolina Central University is accredited by the Southern Association of Colleges and Schools to award the Bachelor of Arts, Bachelor of Science, and master’s degrees. July 1 (fall); November 1 (spring). Graduation from an accredited high school and completion of the following units: 4 English (grammar, composition, and literature), 3 mathematics (algebra I and II and geometry), 3 science (including lab) and 2 social sciences (U.S. history), and 2 units of foreign language highly recommended. Students must submit an official high school transcript and provide proof of immunization against measles and rubella. Preference is given to North Carolina residents. A nonrefundable application fee is required. Admission Application Deadline: July 1 (fall); November 1 (spring). Admission Contact: Director of Undergraduate Admissions, North Carolina Central University, PO Box 19717, Shepherd Station, Durham, North Carolina 27707; Telephone: 919-530-6298; 877-677-7533 (toll-free); 919-530-7525 (fax). A minimum of 124 to 149 hours and completion of the core course requirements, including four English, four mathematics, four science, history, and two foreign language and completion of a senior seminar in the major area of study. Campus Services: Health center, personal and psychological counseling, and career planning and placement. Campus Activities: Social and cultural activities include theater, concerts, dances, choir, marching band, and jazz ensemble. Students may work on the student-run yearbook or newspaper. Leadership opportunities are found in the Student Government Association, student-run radio station (WNCU-FM), Women’s Caucus, Student Bar Association, Legal Fraternities, and numerous other student-run organizations. Greek sororities include Alpha Kappa Alpha, Delta Sigma Theta, Sigma Gamma Rho, and Zeta Phi Beta; fraternities include Alpha Phi Alpha, Kappa Alpha Psi, Omega Psi Phi, and Phi Beta Sigma. In addition, there are four local sororities and five local fraternities. Honor societies are also represented on campus. Housing Availability: 2,000 housing spaces; freshmen given priority; off-campus living permitted. Handicapped Services: Wheelchair accessibility and services for the visually impaired. August-May (semesters) Two summer sessions.